We are focused on solutions. Tell us what you want to achieve, and we’ll work with you from the very beginning. We have the experience and expertise to bring you efficient, cost-effective results. That’s engineering value. We have the adaptability to create bespoke products and deal with whatever comes our way. PromeX has been manufacturing for the rail, oil & gas industries for over a decade, and we’re trusted by leading brands at home and overseas. Because we have invested in our Production Management Software (ProgressPlus), we offer total control of your project. 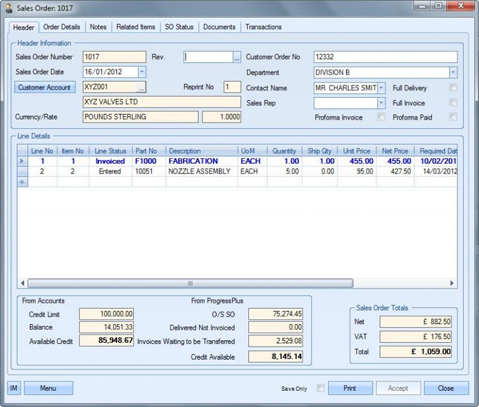 From enquiries, to ordering raw materials, shop floor work sheets, good inwards & outwards and final invoicing, our system enables us to manage each step. So we can offer stress-free management of your project, from concept to delivery.